If your roommates are leaving pizza on the floor, you may find a bunch of uninvited guests in your apartment. So, I’m having trouble with my roommates — I know, who isn’t? 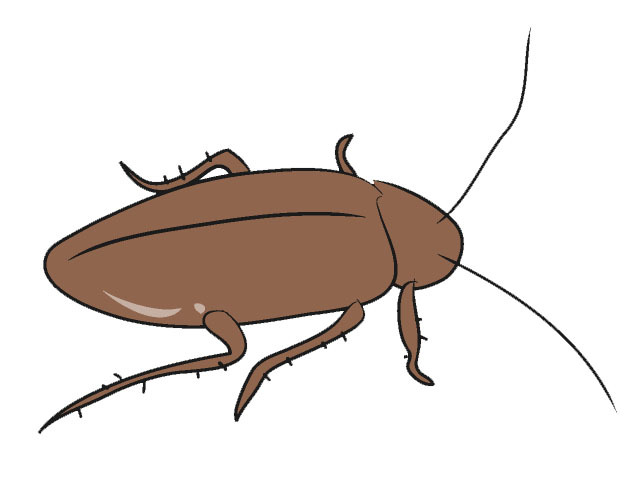 But hear me out: our trash-ridden floor has recently, and shockingly, inspired a cockroach infestation. I guess I could start by asking you, “Why aren’t cockroaches extinct yet?” They multiply faster than fruit flies in the genetics lab. I’m not going to point any fingers, except maybe at the two pieces of human trash I live with: my roommates. Okay, that was a little harsh, but I care about these people. My roommates are my friends, who, despite their pig sty like tendencies, I love. So sue me for wanting them to live happy, and healthy, cockroach-free lives. However, these are the same friends who took the liberty to leave Domino’s on our floor for three full days — not the pizza box, just the bare slices of pizza, cheese-down on the floor. First of all, who treats a slice of pizza like that? That’s, like, sacrilegious. What kind of messed up person does that? Okay, that’s beside the point. Pizza aside, can you blame me for wanting to live in a pest-free apartment? How do I keep my friends and a clean apartment? First and foremost, please invest in an exterminator — or better yet, make your roommates do it. Buy some grey jumpsuits with “Bugs Be Gone!” embroidered on the back, only address them as The Exterminator for a full day (while making cringy Arnold Schwarzenegger Terminator jokes) … hell, dare one to eat a cockroach. Get some much-deserved payback, all in good fun, of course. After all, their untidy lifestyle doesn’t seem malicious, or even intentional. The path to hell … or I guess, in your case, cockroach breeding grounds, is always paved with good intentions. So, what is my opinion? Once the apartment is incubated in cockroach repellent and you’ve gone outside to avoid any long-term, pesticide-induced lung damage, talk about it. Tell them about the cockroach that crawled across your bed and straight into your pillowcase, the nightmares you had about turning into a giant cockroach and the funeral you performed for the five beautiful and delicious slices of pizza they let go to waste and die a slow and painful death on your floor. Serve up some justice. I think every family sitcom written around circa 2000 will agree with my professional opinion that open communication is the key to any good relationship — including relationships with roommates. So, discuss your issues. Maybe even over pizza.